In a prior post I talked about the backlash against the “Real Names” policy that Google has instituted for it’s Google+ social network. The resulting nymwars are in full force, and drew me into a very interesting twitter back-and-forth between Kevin Marks, myself and Tim O’Reilly over the weekend, which Kaliya (or IdentityWoman, as she is really known) documented here. Today, it prompted Gartner’s Distinguished Analyst (and Prophet of Pull) Bob Blakley to fire a salvo at Google’s “insanity” in creating “an antisocial space in what is supposed to be a social network (that) is at odds with basic human social behavior”. It’s an excellent post in inimitable Bob style, but I did want to focus on one point where I may differ from Bob a bit. In his post, Bob talks of Google trying to do social with an eye on the lucrative targeted advertising dollars that Facebook is currently hogging. This is the motive I alluded to at the end of my post as well. But things (appear to) have become a bit clearer here (albeit still speculation). During an interview with NPRs Andy Carvin, Google CEO Eric Schmidt didn’t throw out the usual pro RealName arguments about maintaining civil discourse online and such, but basically talked about Google’s ambition to be an identity service – a platform on which commerce and government services can run. And for such a platform to be widely adopted and billable, the data needs to have a certain fidelity – no different than the kind of identity stores we build within enterprises today. Google already has such an identity platform – it’s called Google Profiles. If you’ve ever created a GMail account for any reason – as a GMail user, to enable an Android phone, for using Picasa – you have a Google Profile. The problem is that these service-derived profiles are of low value to the user, created only to get on to the desired service, and so they are never maintained and have low data quality. And like in a lot of enterprises that engage in identity administration and provisioning projects, Google has to deal with multiple identities per person that need to be linked and correlated. If doing that is hard in the enterprise space, imagine how hard that is do in the personal space where users not only have no reason to facilitate this, they actively engage in keeping some of these profiles separate and distinct. Just in writing this post I noticed that mine still reflects my Oracle position – unlike my LinkedIn, Twitter and Facebook profiles. The common thread through those three services that I kept up-to-date? They’re social, an extension of me into the online world. That’s why Google+ is so important to Google’s aspirations for Google Profiles. Google wants to use social as the honeypot that draws in all those users and keeps them highly engaged and motivated to keep their data up-to-date. 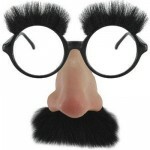 They see how well this is working for the Facebook identity platform and want to replicate that success. But here’s the disconnect – Facebook got to this spot organically. While Zuckerberg may be a visionary in many aspects, his first priority when building Facebook was to build a social network where people would hang out. As the social engagement increased the number and fidelity of identities in Facebook’s database grew as well, The team then pounced on the opportunity to build a platform out of this. In true engineering-driven style, Google is reverse engineering this – seeing where they want to get to and trying to replicate the same path, but instituting fixes that short circuit what took Facebook years to do. Except that there are no shortcuts. 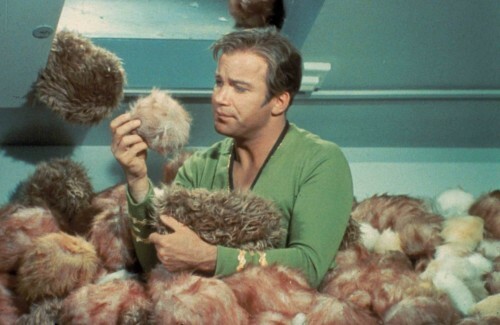 Do you know what you get if you feed a tribble too much? Google may think that social is all cute and cuddly, but they may be about to find out that it’s a completely different beast that could clog up their systems. Meanwhile, the battle for our online self-determination will continue. IIW XIII should be a lot of fun.